How can I display entire form results inside a Trello Card? I've created a creative brief form and told it to create a new Trello card upon form submission, which works. 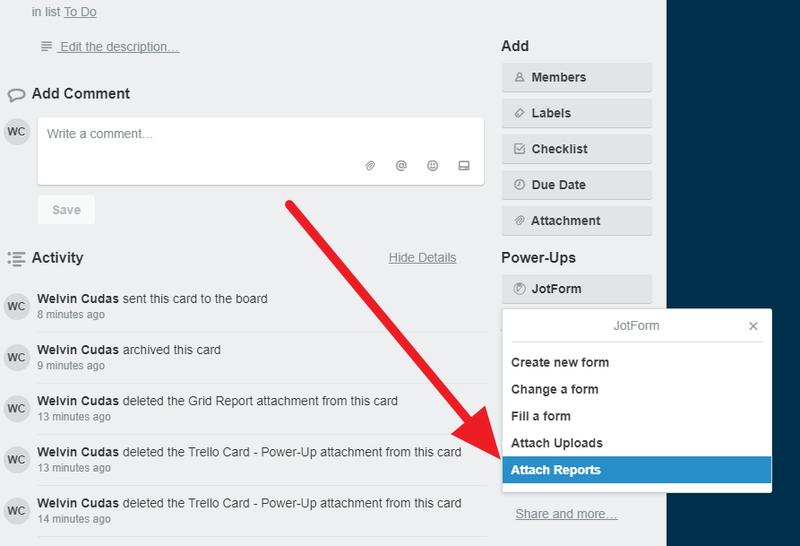 BUT I want/need to display the entire form results inside the Trello card so my creative team can see everything they need to see right inside that one card without having to navigate away or open an email. I don't think you can do this in Trello card. You can attach the report instead. I understand that you do not want to navigate on a different page(s) but it's not possible this time. You can find our reporting options in this section: https://www.jotform.com/help/chapter-6-Reports.